Nothing validates an opinion on a property like firsthand experience. Scott Glazer is an expert on the Northwest suburbs of Chicago – one of a team of seasoned professionals in the Wexler Gault Group. Consistently ranked among the top 1 percent of REALTORS? in the Chicago area, the Wexler Gault Group offers every client the benefits of a team approach, guaranteeing an unmatched depth of market knowledge and negotiation skills. 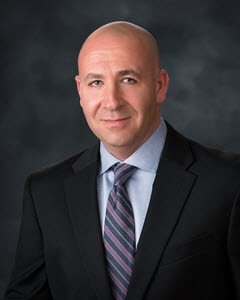 Having grown up in Buffalo Grove and a resident of Grayslake for the past 14 years, Scott delivers reliable, astute knowledge on market conditions along with expertise on the particular nuances and strengths of the area’s individual communities. He knows clients today are flooded with information from online resources, and guarantees that his client’s needs get the right information they need to make an informed decision every time. Whether you are a seller, first-time buyer, renter or investor, Scott guarantees your needs are listened to and met. His expertise on the Northwest suburbs, coupled with an impressive background in working with Fortune 500 customers, makes Scott a REALTOR? who operates with the utmost professionalism, efficiency and integrity. Scott transitioned to real estate after 16 years as a senior client executive with Verizon Enterprise Solutions where he worked with the firm’s largest clients. He graduated from DePaul University in Chicago and is a member of the North Shore-Barrington Association of REALTORS.